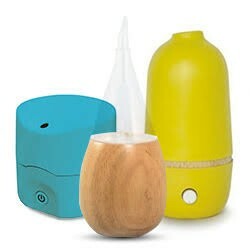 Our nebulizing aroma-diffusers have been selected for their design and their technology. The essential oils are either diffused with a “cold air stream” (OXYGEN and RONDO) or added into water for “ultrasonic diffusion” by releasing a cold and aromatic mist (LOTUS, SENSSONIC and YUN). 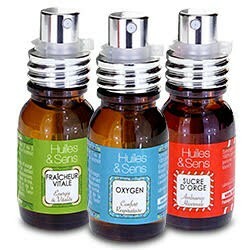 As no heat is used in the diffusion process the essential oils keep their entire aroma and therapeutic properties. Enjoy the natural and healthy way to purify and freshen the air of your home or workplace.